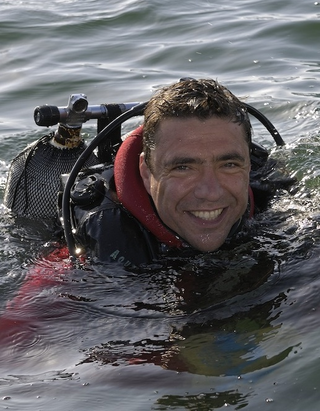 Greg began diving in 1980, in Corsica. With a passion for the sea and for maritime history, he studied journalism and archaeology at university in Paris, before joining Franck’s team in 1997 as an archaeological diver. Greg also works as a freelance journalist, specializing in underwater reportage, with frequent publication in National Geographic France and Geo magazines. He’s a travel writer as well, employed by the famous French travel guide, ‘Le Guide du Routard’, covering many countries all around the planet.